Flint's mayor says that major progress is being made in the effort to replace lead and iron water pipes that contributed to the city's water crisis. But a senior attorney with the NRDC has reservations about the city's approach. 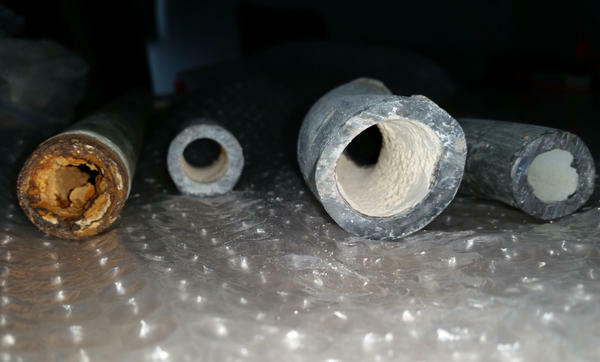 Today on Stateside, a senior attorney with the Natural Resources Defense Council expresses concern over the city of Flint's approach to replacing lead and iron water pipes. Plus, what we can learn about education in Detroit from the sudden closure of a charter school in the city just three weeks into this school year. In the nearly three years since a state of emergency was declared in Flint due to lead-contaminated water, the city’s mayor says that nearly 8,000 lead and iron water pipelines have been replaced. Attorney Dimple Chaudhary is with the Natural Resources Defense Council, and is the lead attorney for its settlement that funded Flint's water line work. She tells us about some of her concerns regarding the way that the city of Flint has gone about replacing lead pipes. The federal government's recently-released National Climate Assessment lays out how climate change is expected to impact different regions of the United States in coming decades. Jenna Jorns is one of the writers of the Midwest chapter of this report, and is the program manager for the Great Lakes Integrated Sciences and Assessments Center. She joined Stateside to talk about some of the specific ways that our changing climate has already affected the Great Lakes, and what impacts the region can expect moving forward. Koby Levin is a reporter with Chalkbeat Detroit. He talks about his latest article on Delta Preparatory Academy for Social Justice, a charter school in Detroit that shut down abruptly in September just three weeks into the school year. Levin explains why the school was on rocky footing from the start, and what its closure tells us about Detroit's education challenges more broadly. Lee Mueller is a certified arborist with the Davey Resource Group, a company that advises cities and companies across the nation on tree management issues. He weighs in on a bill before Michigan’s lame-duck legislature that would stop cities from “prohibiting or restricting the removal of trees or other vegetation” in non-residential areas. Chris Korleski is the director of the EPA’s Great Lakes National Program Office, and Rose Ellison is that office’s project manager. They joined Stateside to talk about a $50 million project to clean up the River Rouge’s Old Channel, which was heavily contaminated by toxic waste dumped by factories along the river.